January 30, 2019, 4:36 p.m. Possibly the most dramatic trend found in any poll over the past year has been the slump in support for Jeremy Corbyn. In our most recent survey the Labour leader’s favourability fell to 22%, around three times smaller than the group of 67% who had an unfavourable opinion. This gives him a new all-time low net score of -45. The steady drop off in support since “peak Corbyn” just after the General election campaign has come from all corners of the electorate, including Remain voters (down from +40 to -28) and Leave (down from -40 to -72). 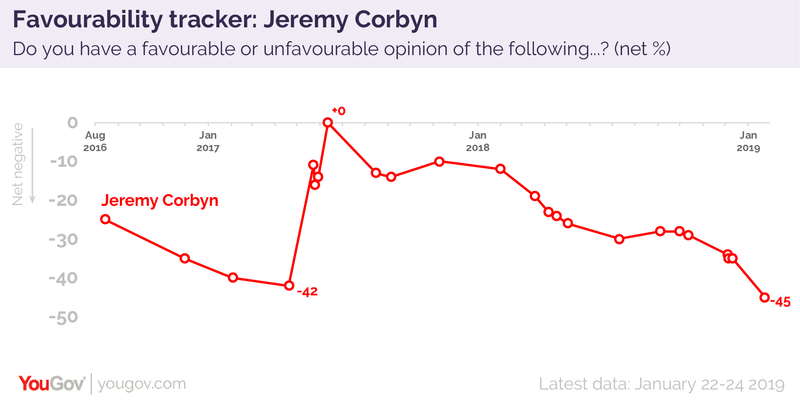 Even those who backed Labour at the last election are now divided, with just 47% having a favourable opinion of Corbyn compared to 44% who have an unfavourable view – only just giving a positive net score. 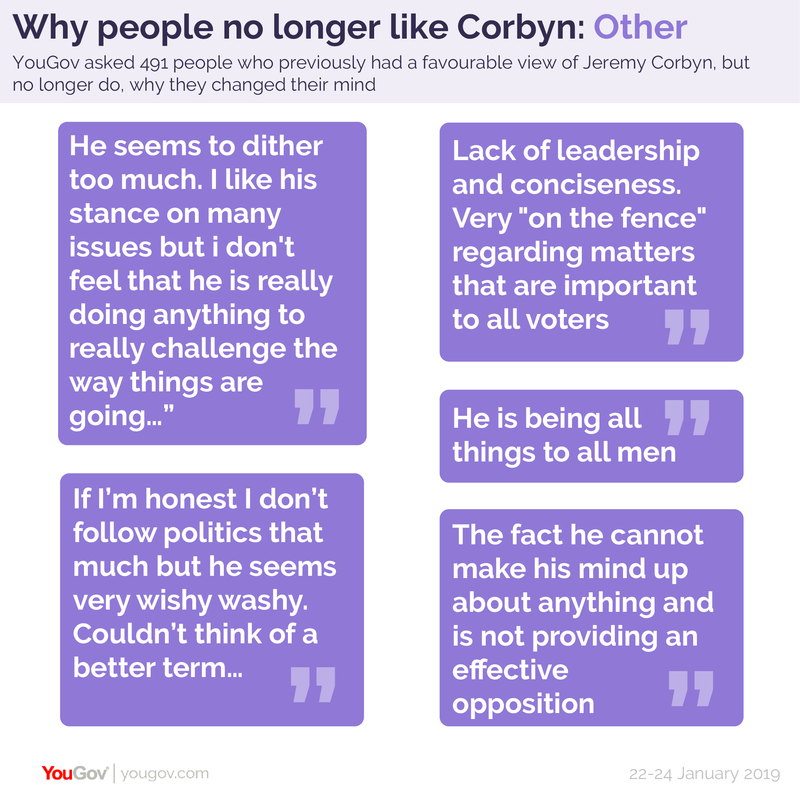 In order to explore what might be driving this shift in public opinion we asked those who had previously been supportive of Corbyn, but have now switched position, what changed their mind. The list was dominated by responses about Brexit, with nearly half (43%) mentioning it in one way of another. In most cases it wasn’t due to his position being too far towards Remain (just 3% thought this) or too far towards Leave (just 6% said this), but rather the fact that he doesn’t seem to have any position at all. In total 13% of respondents mentioned that he had been too weak on Brexit, and not taken a decisive stance. A further 7% specifically referenced that he won’t meet to talk with Theresa May or other politicians about Brexit – something which he finally relented on yesterday. Even amongst those who didn’t specifically mention Brexit, many responses still feed into this theme. 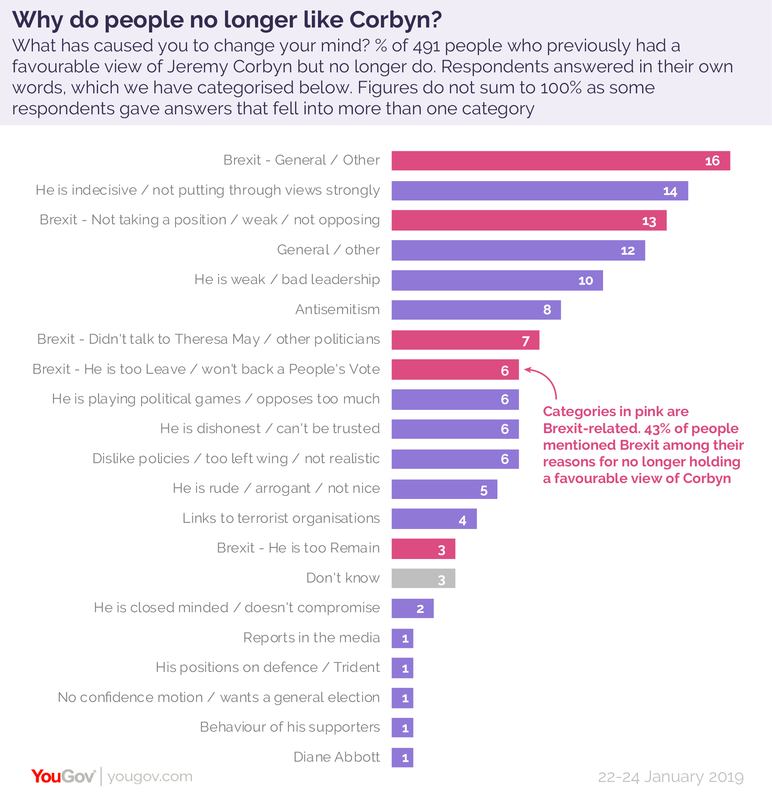 Some talked about how they thought the Labour leader had recently shown himself to be indecisive by not stating his views strongly enough (14%) whilst others thought he shown bad leadership or been generally weak (10%). A further 6% discussed the idea that he opposes the Government too much or plays political games. Also mentioned, although to a lesser extent, was anti-Semitism within the labour party - 8% of all respondents said it had caused them to change their view of the Labour leader. Other issues that many have speculated might be key drivers actually appeared low down the list, or not at all. For example, suggested links to terrorist organisations were only mentioned by 4% of respondents, despite dominating the headlines last summer. His positions on defence were mentioned by just 1% of respondents, whilst nobody mentioned his response to the Salisbury poisoning. So clearly, Labour’s decision to sit on the Brexit fence has not been as "cost free" as many inside the party had hoped. 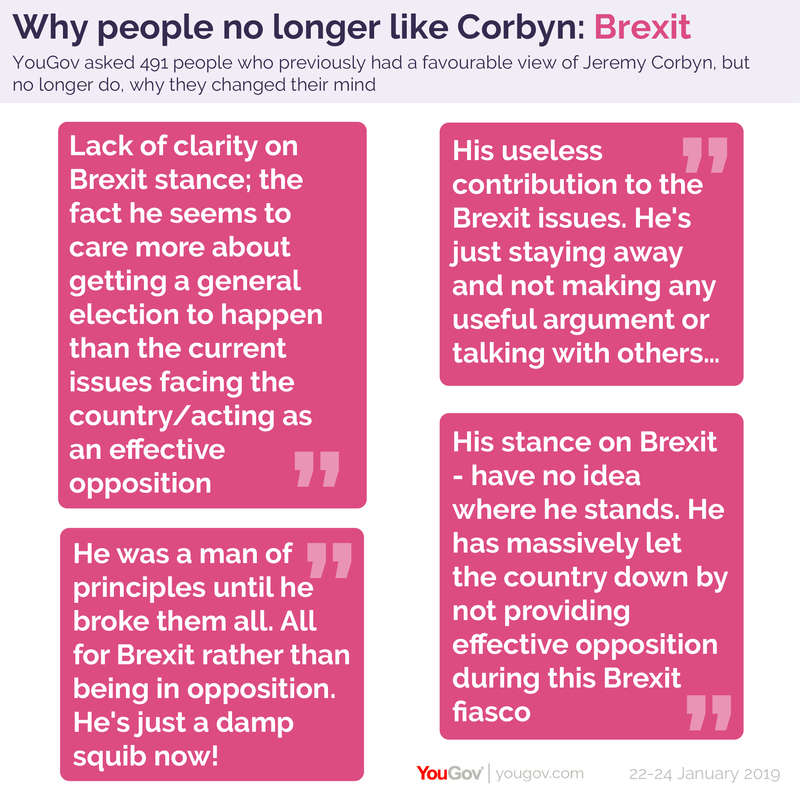 Whilst the party may have avoided specifically alienating their Remain or Leave wings, it has damaged Corbyn’s “honest, straight talking” brand. This change has also showed up in more general questions around views of the Labour leader. We asked people to pick from a list the top three words they associated with Jeremy Corbyn. At the end of the General election campaign the word that came top was “honest” on 30%, albeit followed by “weak” on 25%. This was followed by “Intelligent” (24%), “awkward” (22%) and “in touch” (22%). 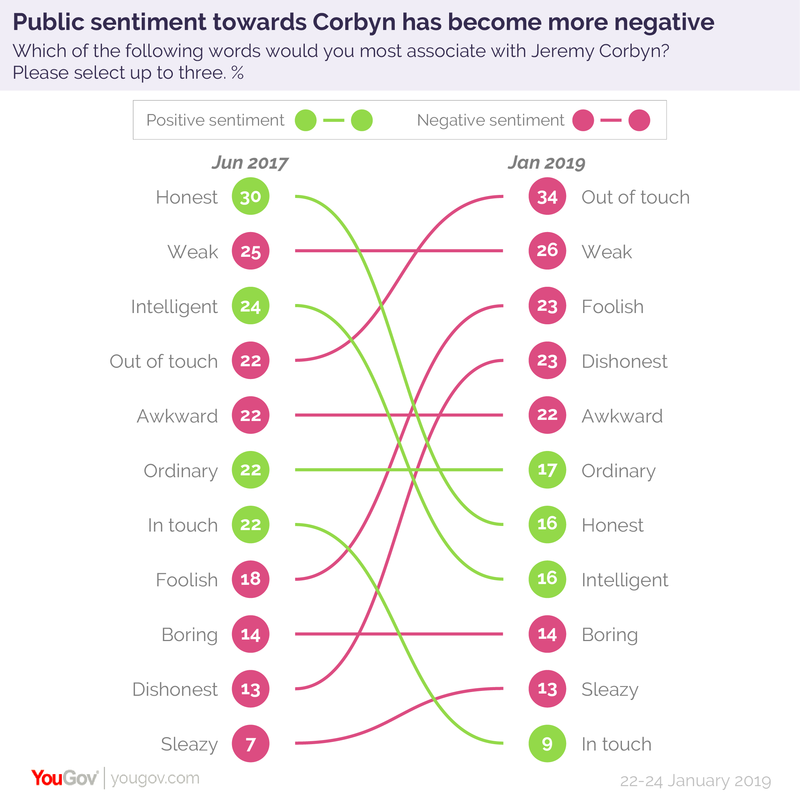 Since then all the positive words have dropped out of the top five, most notably “honest” which is now only picked by 16% of respondents (a 14% drop) and “in touch” which is now only picked by 9% of people – a 13% drop. The data indicates that Corbyn’s brand has suffered serious damage over the past 18 months, but is “Corbynmania” dead or just dormant? On the one hand, we’ve been here before. Polling before the last election also showed dire numbers for Jeremy Corbyn, with him starting the campaign with a net favourability score of -42, compared to Theresa May’s score of +10. Yet he managed to completely defy expectations once people saw him on the campaign trail, leapfrogging the Prime Minister and increasing his score to net 0 in less than 8 weeks, whilst her score dropped to -34. And whilst it may not currently feel like it, Brexit isn’t going to be a dominant issue forever. 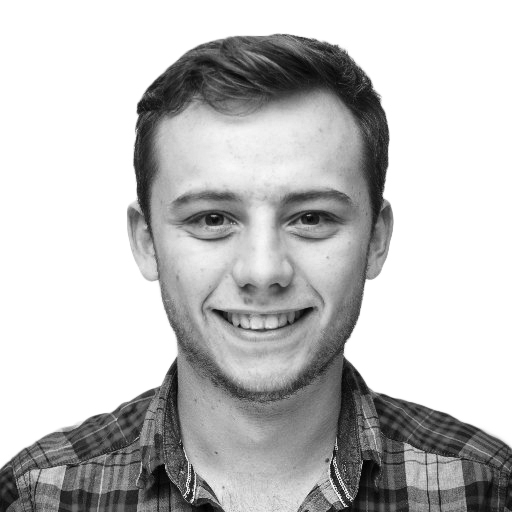 Corbyn may be able to rebound if he can shift the focus back onto issues on which he is more comfortable – such as poverty, inequality or the NHS. On the other hand, soufflés don’t rise twice. We shouldn’t assume that just because Corbyn managed to beat the odds once he will automatically be able to do so again, particularly given that the public have now had a lot longer to get to know the Labour leader, therefore their opinions of him are likely to be more entrenched.